We are thrilled to have been awarded Wedding Band of the Year for South Central region by The Wedding Industry Awards and to have been nominated as a national finalist for Wedding Band of the Year. Our win was down purely to the feedback given to the judges by our wedding clients over the past 12 months. We are incredibly proud and thankful to all our wonderful brides and grooms for voting for us and making this award a reality. 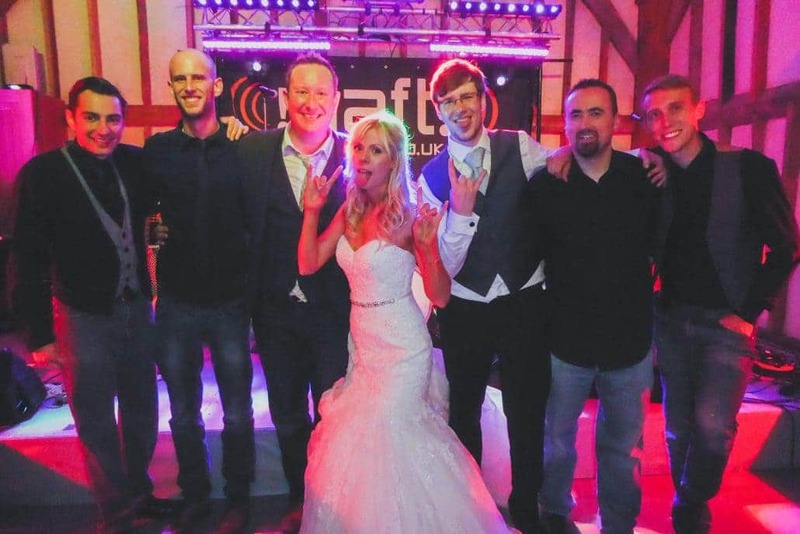 If you’re looking to hire a wedding, corporate function or party band in and around Berkshire, then you have your work cut out. There are so many to look at. 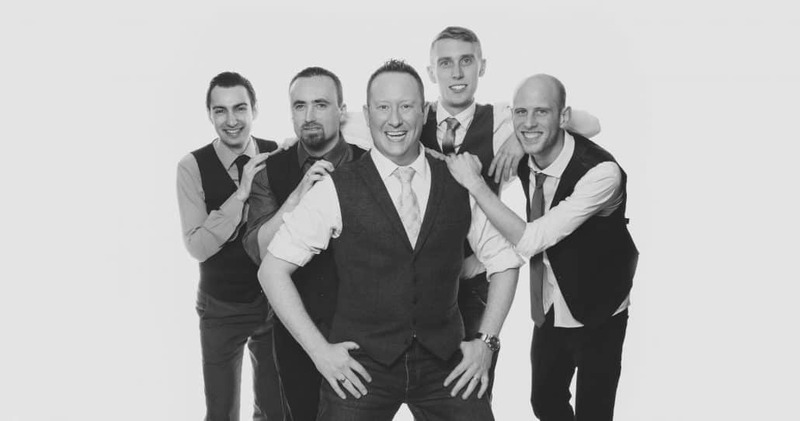 But imagine you have now found a Berkshire based wedding band who play all your favourite music, are well-established, with a professional attitude & proven track record, and who offer exceptional value all at the same time. Sound good? Find out more about !daft! today and discover why countless brides & grooms, businesses & venues just like you choose us to provide live music & entertainment for their very special occasions. !daft! 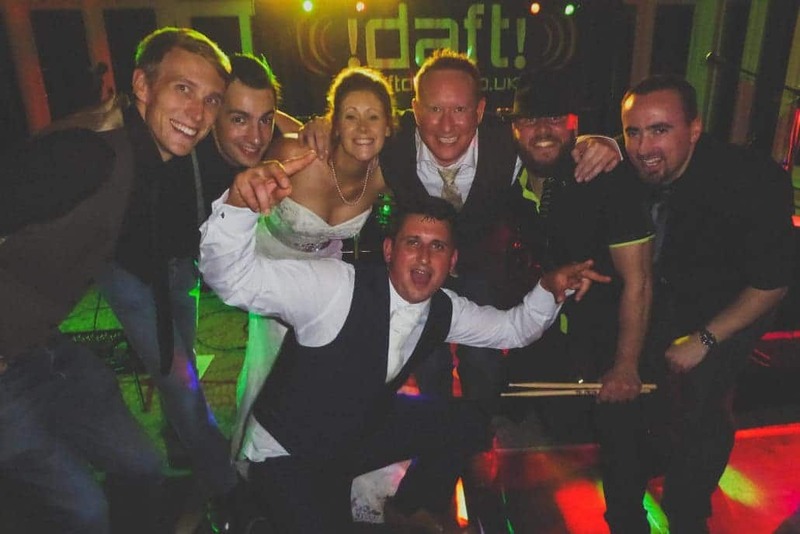 are a great fun, experienced & professional Berkshire wedding & party band who are passionate about creating extraordinarily entertaining live music performances. If you like great customer service and having complete confidence in your wedding & event entertainment, then you will love the attention to detail, advice & support we offer. We believe in looking after our clients. !daft! has been wowing audiences for almost 20 years across Berkshire, Buckinghamshire, London, Oxfordshire, Surrey & Hampshire but can be hired nationwide. The main reason people book !daft! is because of our incredible live shows. 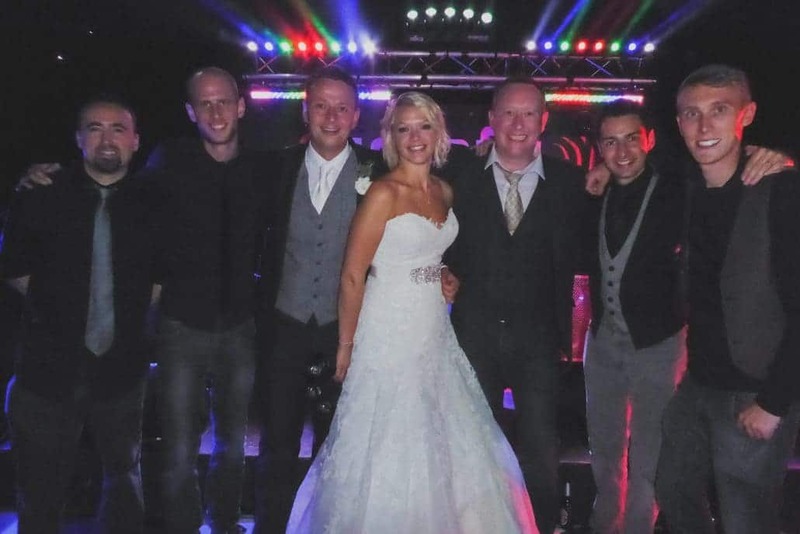 We are well known for being one of the most fun & upbeat wedding bands you can hire. Not only that but the we insist on performing all of our tracks with accuracy, passion and showmanship. Take a look at our range of services and get in touch today. 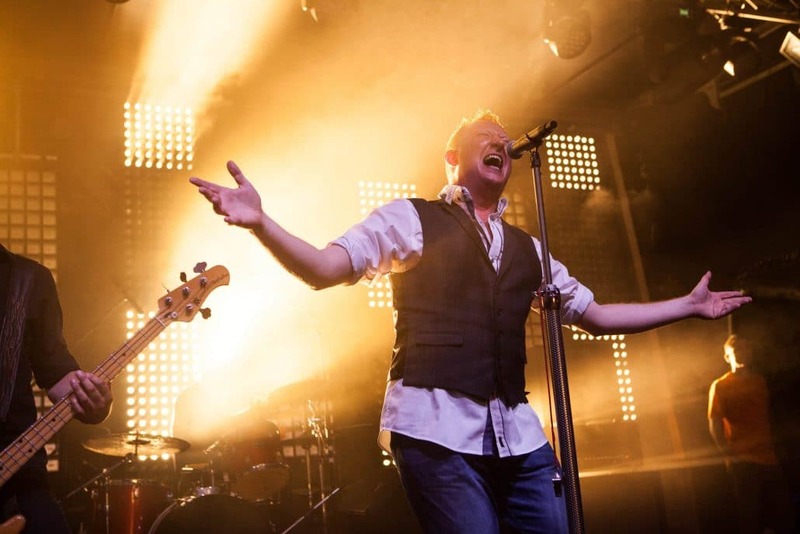 We look forward to finding out how we can bring some unmatchable live entertainment to your event and give you a truly memorable experience. From attentive planning to an electrifying live performance and combined DJ service, your wedding, function or party is in experienced & capable hands. It’s your event so we’ll customise it to your specific requirements every step of the way. !daft! play the best rock, pop, indie & party hits & anthems from the 60s through to today. Why pay for something twice? Your booking includes our virtual DJ service between the band’s sets. 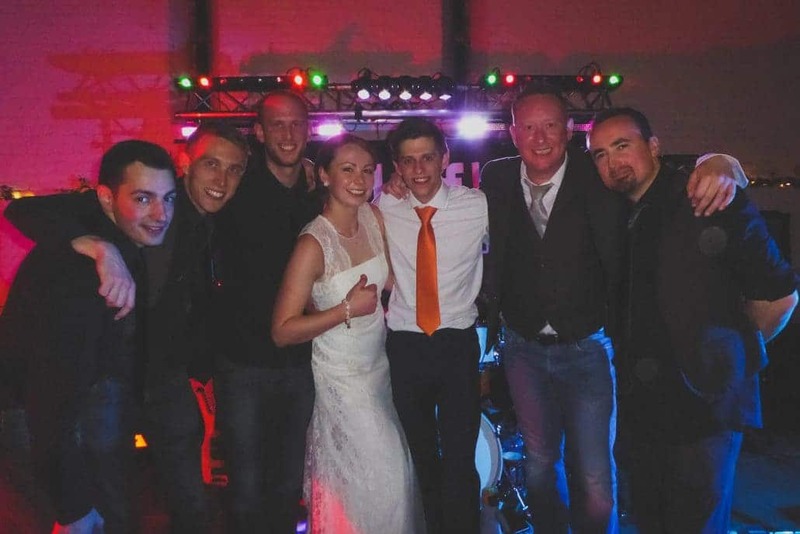 Our guitar duo will enhance your wedding reception with a romantic & fun atmosphere. Tell us what wedding music you’d like & we’ll make your dreams come true. From first dance to finalé. 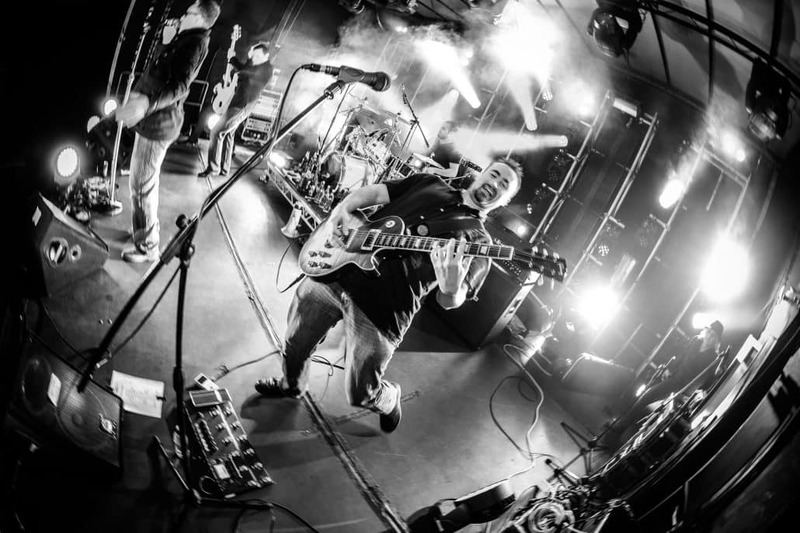 The best sound & light for the best live music experience with our dedicated tech team. Enjoy your event forever with the photos & videos we can take of your event. Book us in complete confidence with our clear & secure booking contract, accessible online 24 hours a day. Just simple, straight forward gig footage complete with live audio. No brick warehouses, studio sets & lighting or lip-syncing, just us performing for our audience. From the soft, summer sounds of Under the Boardwalk to the anthemic, dance floor filling Mr Brightside. !daft! plays something for everyone’s musical tastes. This testimonial and feedback video is a selection of comments to help you in making your decision to book us. A huge “thank you” to all the people that have spoken on camera for us. All the latest comments from awesome people on the internet. Read the latest news, information, help & advice from !daft!. 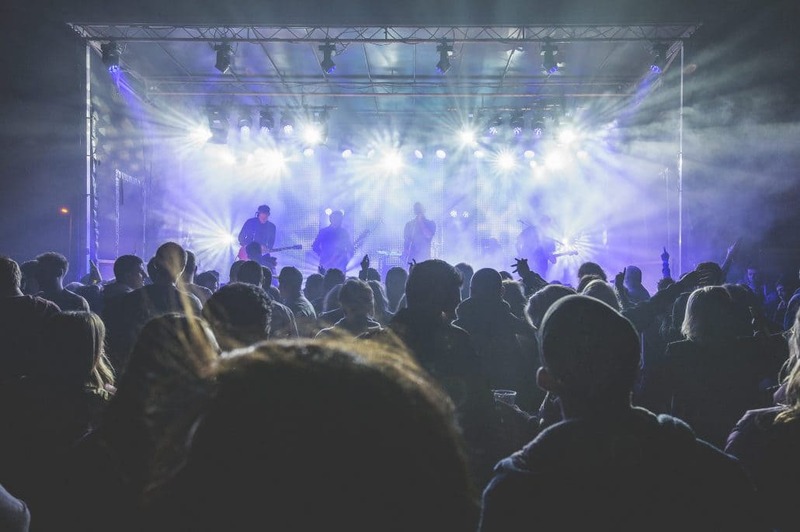 See gig and event reviews & videos, helpful articles and more. Want to check us out in person? Come along to any of our public shows and say hi! Most take place in and around Berkshire.